As the monsoon starts to batter Bangladesh, almost one million Rohingya refugees are facing the threat of a humanitarian catastrophe. 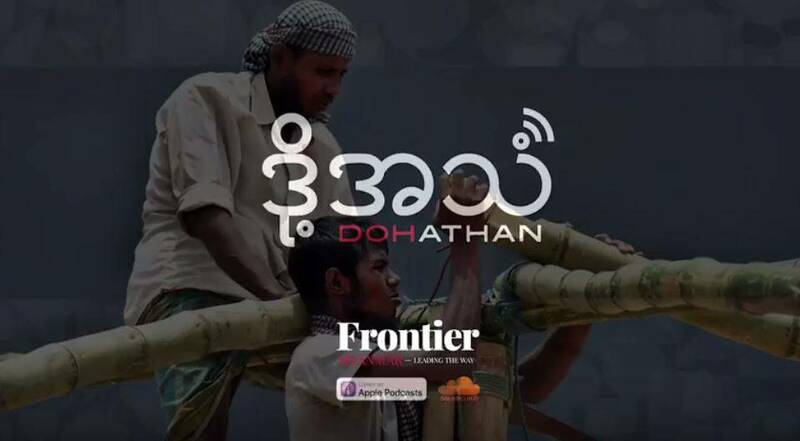 An audio report from Doh Athan - our Voice, Frontier Myanmar's weekly podcast on Human Rights, implemented and supported by Fondation Hirondelle. Flooding, landslides and disease threaten to claim the lives of thousands of men, women and children during the next three months, with aid agencies warning of a “disaster within a disaster.” Last week Doh Athan ventured inside the squalid camps and witnessed firsthand the frantic efforts being made by refugees, aid agencies and volunteers to batten down the hatches. The refugees fled Myanmar because of what one UN official described as genocide. But the monsoon is something they simply cannot run away from.